Do you like to watch particular video streams such as TV shows, music videos, or even webinars or gaming livestreams? Some of the content that is out there is really great, but seeing as it is streamed you’ll have to be online to watch it. Moreover in the case of livestreams there may not be a way to even stream it later on, which can be a bit inconvenient if you aren’t free when it is being aired live. If you want to be able to watch your favorite video streams whenever you’re free and never miss out on live content, all you really need is Movavi Screen Capture for Mac. As a screen recorder it will allow you to capture streaming video on Mac so that you can save it and watch it as and when you see fit. To set it up there are really only two things you need to do: Define the capture area to encompass the video stream, and set the audio source to record the system audio (i.e. audio from your speakers). Rest assured Movavi Screen Capture for Mac will make it easy to set up both those things, and you can essentially just use the mouse cursor to draw a frame over the video stream then check that the appropriate icon for the system audio is highlighted or click on it once if not. Make no mistake there are several other recording parameters that you could adjust such as the frame rate, sound levels, and features that will let you record keyboard and mouse actions. However those aren’t really that relevant in this case, and at most you may want to schedule the recording to automatically start and stop or set the timer in Movavi Screen Capture for Mac to stop it after a certain duration. 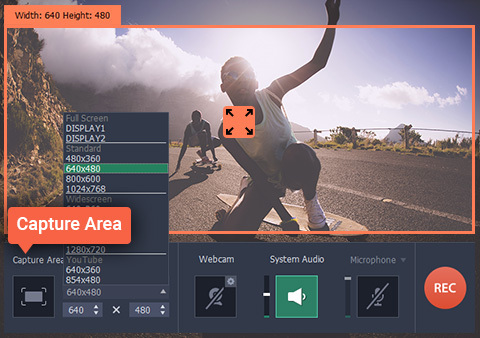 In any case that should cover the bulk of what needs to be done, and after that you can start to record the video stream then save it in a format of your choice or use one of the hundreds of built-in presets for various devices and platforms. Considering how straightforward it is you should be able to set up Movavi Screen Capture for Mac in a matter of minutes, which can be useful when you’re in a rush and want to start recording as soon as possible.